Root canal also known as endodontics is required when the nerve or blood supply of the tooth ( the pulp) is infected through decay caused by bacterial invasion or injury. The aim of this treatment is to preserve the tooth for as long as possible. The pulp is made up of soft tissue that includes blood vessels and nerves, also known as the nerve within the tooth. When the pulp gets infected it leads to pulpitis or inflammation of the pulp and its death (necrosis). This can result in an acute alveolar abscess, which is a very painful condition. To maintain the tooth, root canal treatment is required to clean out the dead tissue and infection and help protect the tooth by filling the canals to stop the same infection recur. If you suffer from dental pain or toothache the dentist can determine if you require an endodontic (root canal) treatment through examinations. The pulp can’t heal by itself and leaving the tooth infected will make things worse so it is important that if you experience any of the above symptoms then contact is immediately. Without treatment your tooth may have to be removed. Cleaning and filling the root canal – Once the pulp has been removed the dentist will clean and enlarge the root canal so that it can easily be filled as the canals are very narrow making it difficult to fill. Our dentist at NW1 Dental Care will use the latest flexible titanium rotary files with specialist rotary motors to enlarge the canals and shape them efficiently so that they can be filled. Root canal files are only used once so as to minimise cross infection and fracture. Once located and shaped, the length of the canal is measured using high tech equipment called an apex locator. The canals are also thoroughly irrigated with anti-bacterial disinfectants to get rid of any residual bacteria. Sealing and fixing the tooth – This is the last stage. 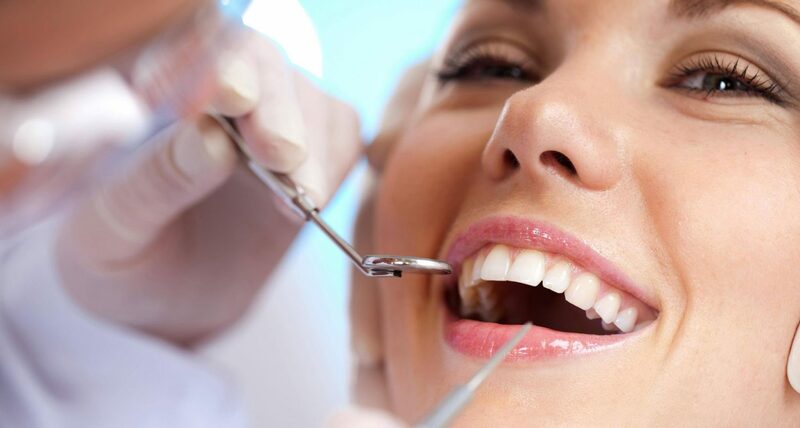 The temporary filling and medication from the tooth is removed if the treatment is carried out in more than one visit. Open up (incise) and drain the abscess : The dentist will make a small cut into the abscess, allowing the pus to drain out, and then wash the area with salt water (saline). Occasionally, a small rubber drain is placed to keep the area open for drainage while the swelling decreases. Patients might experience some discomfort after the treatment, which usually settles in a few days. Patients can take their usual pain killers to relieve the pain. Root canal success rate prognosis ranges from 70-90% over 5 years. However root treated teeth can discolour over time. If the tooth has a small access filling only then we can try to internally bleach the discolouration. If this does not work or the tooth is severely discoloured then covering the tooth with a tooth coloured veneer or crown is another option. Your dentist will inform you of all the choices available for your specific concern. Fractured crown or leaking filling material. Narrow or curved canals not treated during the original procedure. Saliva has entered the restorative structure. Retreatment is usually more complicated than initial root canal treatment as the tooth is usually fully restored with a permanent restoration. This can range from a simple filling to a full crown or as part of a bridge. In addition to this a post may have been placed inside the root prior to a final filling being placed. This creates difficulty because access to the root canals is more difficult. Additionally the canals will have been filled with root filling material. Therefore this has to be removed before they can be instrumented and cleaned again. All of these obstructions make the process more complicated. However it is still possible to treat. If you decide not to have the root retreated. You could alternatively have the tooth taken out. Once the pulp has be destroyed, it will not heal back. Therefore it is not not recommended to leave an infected tooth in the mouth, to avoid further complications. Root-treated teeth should be treated the same as any other tooth. Regular dental check-ups are recommended. Oral hygiene is very important. You must brush your teeth twice a day with a fluoride toothpaste combined with dental flossing. Alternatives to root canal treatment? The patient must take care when recovering from endodontic treatment. They should avoid biting or chewing on hard food until treatment is complete. After the treatment the restored tooth shouldn’t be painful although patients may feel sensitive or mild discomfort for a few days. Over the counter painkiller can be taken to relieve any discomfort. The root canal after care involves mostly taking care of your teeth by maintain good oral hygiene, avoid consuming excessive sugary food, brushing, flossing and regular dental check-ups are recommended. How painful is the root canal treatment ? How long does it take for the root canal treatment ? If you come as an emergency visit we will aim to take care of immediate pain and infection control, then everything else is resolved in next visit. What happens after the root canal treatment ? However root treated teeth can discolour over time. If the tooth has a small access filling only then we can try to internally bleach the discolouration. If this does not work or the tooth is severely discoloured then covering the tooth with a tooth coloured veneer or crown is another option. Your dentist will inform you of all the choices available for your specific concern. Do I need to be referred by a dentist ? If you experience the symptoms you can contact us directly and seen with one of our dentists who work on endodontic treatments. We would book a consultation appointment so that the dentist can diagnose your case and advise the patients on all aspects of treatment. Sometimes its best to have the tooth removed and then restore it with a dental implant. What happens if you wait too long for the treatment or not performed at all when needed? How long will the restored root canal tooth last? The restored tooth could last a lifetime if you continue to take proper care of your gums and teeth and maintain good oral hygiene. However, routine dental check-ups are recommended.